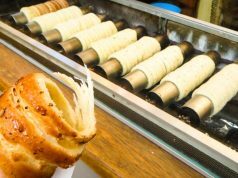 One of the most essential questions for travelers visiting Czechia is food. 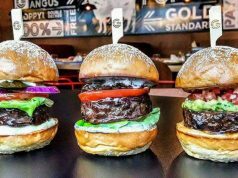 What and where to eat in Prague? 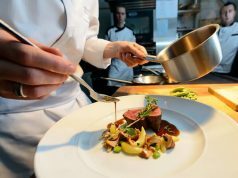 Which dishes are traditional Czech and in which restaurant do they serve the best? The answers to these questions you can get from the article. 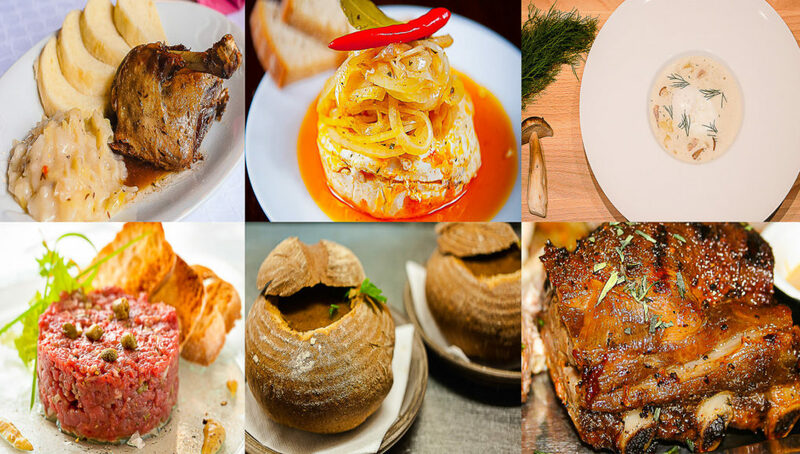 Among the most traditional dishes one can taste in Prague are the following: pork knee, pork ribs, beer, goulash in bread, tatarak, pickled cheese, fired cheese. 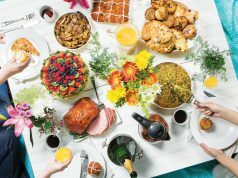 Variation of these meals you may also try in Germany, Hungary, Austria and Poland. During the history these countries were united in unions or Empires. Thus traditions and food had no boarders. Nakládaný hermelín in Czech and pickled cheese in English. This is a perfect starter or a side dish for a beer. 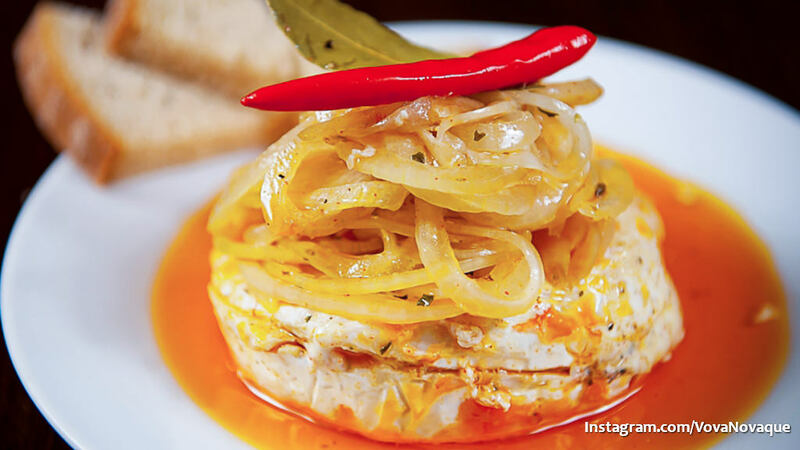 It is cheese close to brie, but pickled in a jar with olive oil, onion, garlic and a bit of pepper or paprika. After a several weeks in such company cheese absorbs all the best aromas and becomes very soft. The taste is a bit spicy, but very good. I bet, you have never tried anything like that before. Where to eat pickled cheese? Mlynska Kavarna — U Sovových mlýnů 134/1. Kulajda is one of the Czech traditional soups. It is a cream-soup, very nutritious, with amazing mushroom flavor. I don’t know why, but the serve kulajda in quite a few places in Prague. By the way, this is one of the vegetarian-friendly Czech dishes. 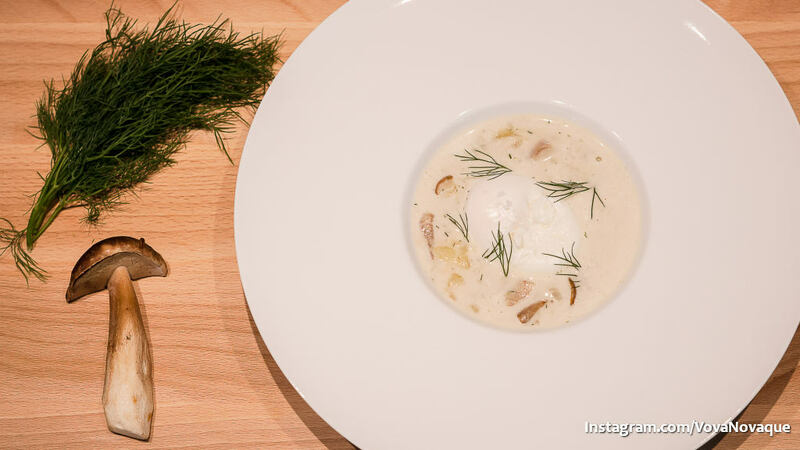 They cook this Czech soup of sour cream, dell, potatoes. Kulajda is usually served with poached egg. Guston — Prokopovo nám. 3. Beef goulash in bread is another soup to eat in Prague. This is very very deep meet mixture made of beef with number of spices. The most peculiar about goulash soup is the form of plate it is served in – a big bread bowl. Hungry tourists sometimes leave only spoons on the table eating the whole “plate”. 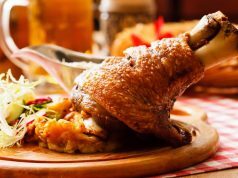 Roasted duck in Prague and other cities of Czechia is usually served with stewed cabbage and dumplings. The portion is huge: either a quarter or a half of a duck. Therefore you need to be really hungry or to have a friend to share the dish with. In the menu they usually put it like: Kachna s červeným zelím. 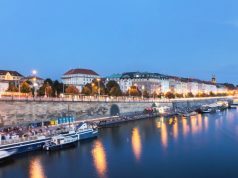 Where to eat roasted duck in Prague? Cafe Louvre — Národní 22. As mentioned above, pork is the main meat they cook and serve in Czechia. 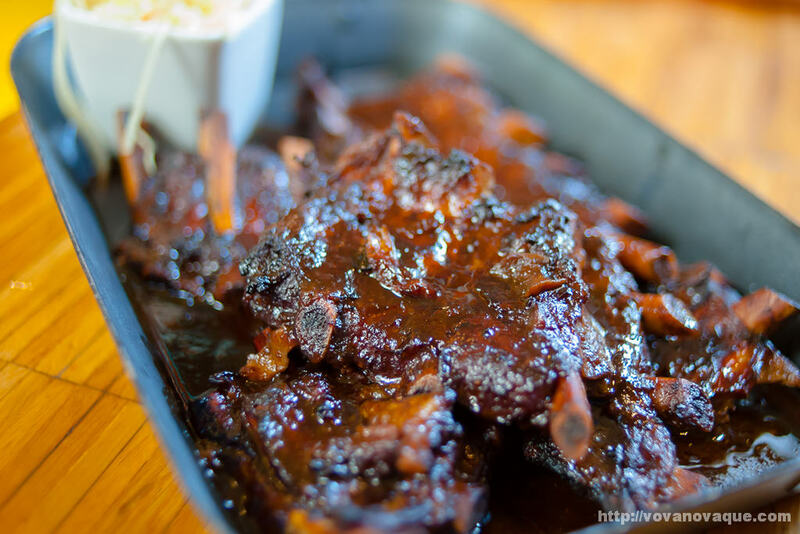 There are two kinds of ribs you should try: roasted and smoked-roasted ribs. My vote goes to normal roasted once (pečená zebra). They are cooked in a slow mode which makes the taste of meet juicy and again very tender. Good ribs are going to melt in your mouth, as in Potrafena Husa — Pork ribs in Leffe beer. 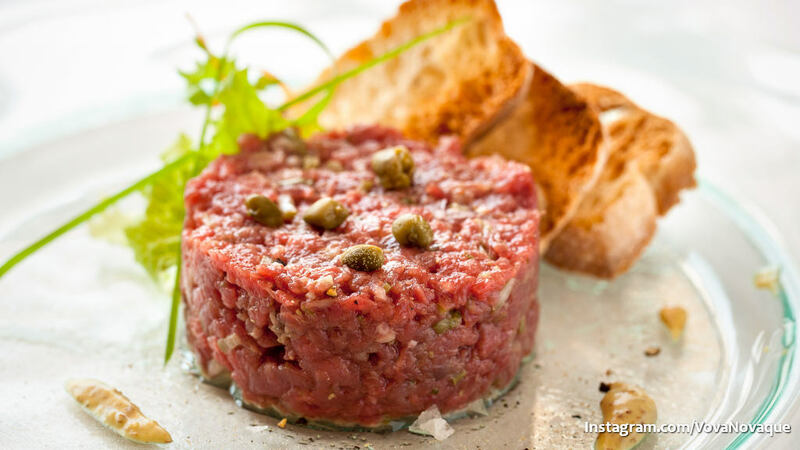 Have you ever tasted raw meet? 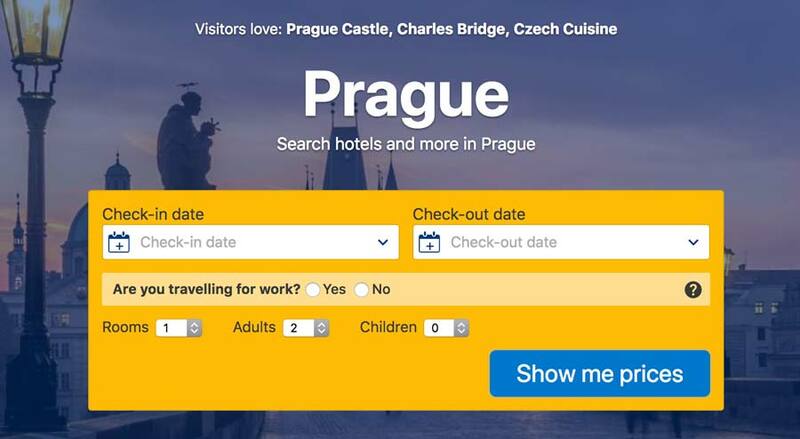 Yes or no, Prague is the right place to do it. The dish is called “tatarak”. It is raw beef stirred into stuffing dressed with mustard and pepper. Usual portion is about 150-250 grams. It is served with slices of fried bread and fresh garlic. You take a slice, stir it with garlic and put layer of tatarak. And salt and pepper on your taste. It is either a good as a main course for one or as a side dish for beer company. Delicious! 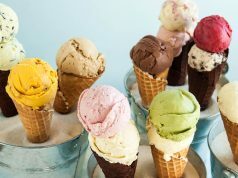 Nase Maso — Dlouhá 39. 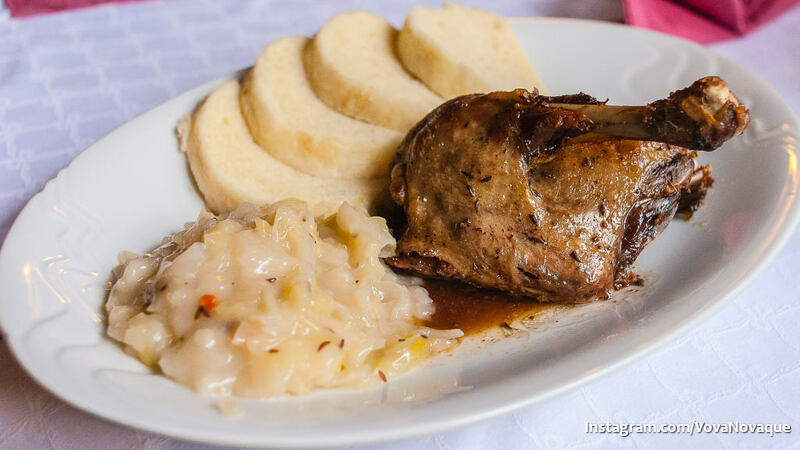 Pork knee is a symbol of the Czech traditional cuisine for many tourists visiting Prague for the first. But I know that Germans can say, that they also have this dish on traditional German table. We won’t go so deep into the history of the meal right now. In Prague they serve the knee on a special plato with holders. Usual portion is about a kilo and goes with sauces, ketchup, mustard and horseradish. 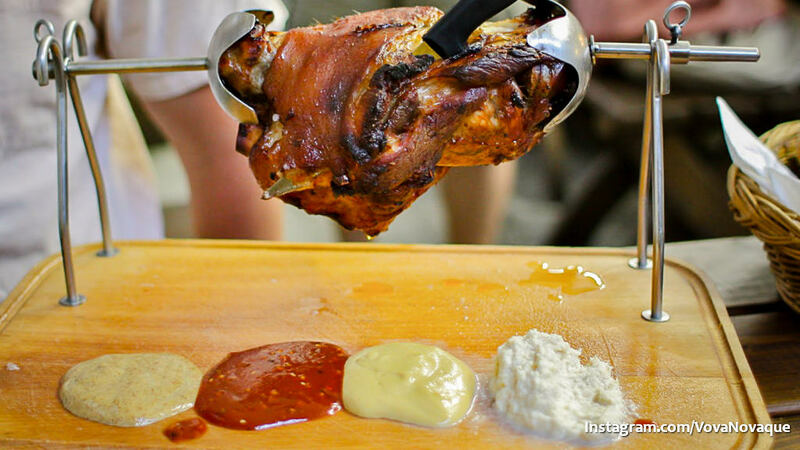 Where to eat pork knee in Prague? 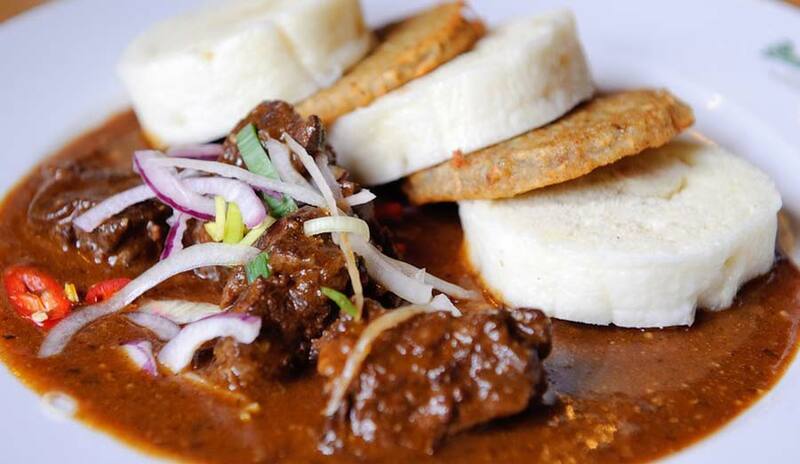 Let me introduce the dish, which is considered to be one of the most popular either among tourist and locals. 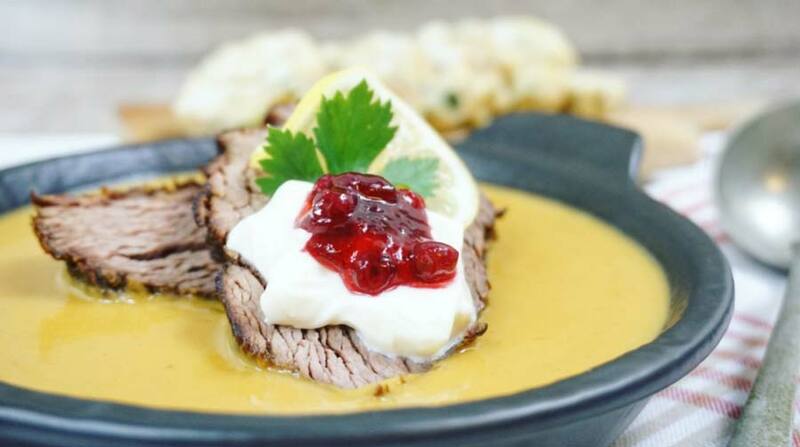 This is sirloin with cream sauce served with dumplings. Traditionally Svickova (the Czech name) occupies one of the main position in Czech wedding table, especially in the villages. How does it taste? First of all it is a bit sweet, because of the sauce based on cream. Moreover Svickova na smetane is usually served with lemon, cranberry and ready whip stuff. Tender meat in such a company receives new and very interesting taste. 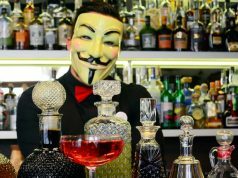 How to eat in Prague? I sincerely hope, that this list of Czech traditional dishes to eat in Prague will help you to get only positive experiences from the trip. I know perfectly well, how difficult it can be in an unknown city when you are hungry and don’t speak the language. 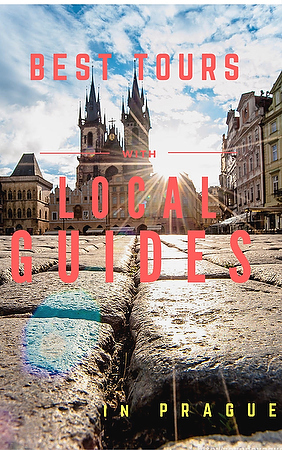 Therefore I compiled a special food tour, in order to introduce you to food culture of the Czech capital. Hit the link below and book! 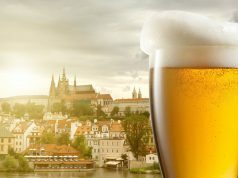 Where to eat in Prague Czech traditional food? 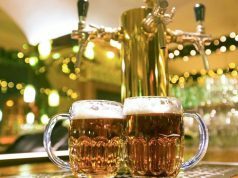 If you think of tasting local dishes in Prague, read this article to find the best restaurants and bars for Czech cuisine with good beer, reliable service and reasonable prices.